Going By the Numbers: Will Consistency Still Matter In NASCAR? Home / Cup Series / Going By the Numbers: Will Consistency Still Matter In NASCAR? Jeff Gordon used to own wine country -- will he get the last laugh on the competition this Sunday? 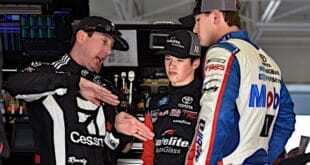 Kevin Rutherford March 20, 2014 Cup Series, Featured Content, Going By the Numbers, Kevin Rutherford Comments Off on Going By the Numbers: Will Consistency Still Matter In NASCAR? 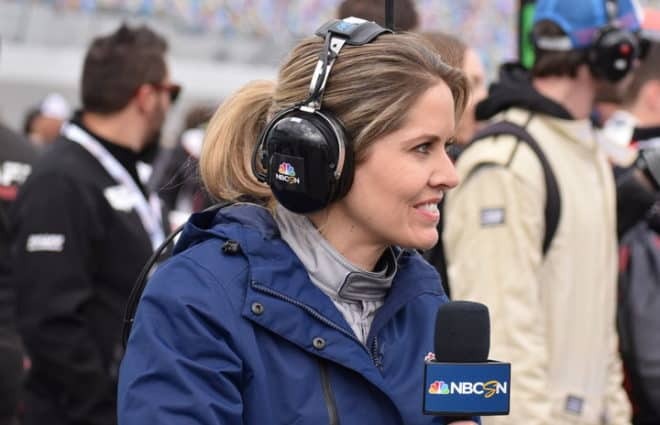 The 2010s haven’t been a subject of derision for Jeff Gordon and his fans, but the decade hasn’t exactly been kind to the four-time NASCAR Sprint Cup Series champion, either. Look: 17, 18, 18, 17. Those are the amounts of top-10 finishes Jeff Gordon has accrued each of the past four seasons. While respectable, those aren’t the numbers of yesteryear, when it was downright unsettling if he didn’t hit at least 20 top 10s — let alone his blistering late-‘90s career, when top-5 finishes for Gordon happened at least 20 times a season. Jeff Gordon has put together a quietly consistent season so far in 2014. But will all those top 10s mean nothing once Chase time comes in NASCAR’s new format? But, ever so quietly, the 42-year-old is one of the sport’s most consistent in 2014, one of a core group of drivers to finish on the lead lap of all four races this season and the only driver to score a top 10 in each of those races. That hot start — which also includes two top 5 finishes and an average finish of 6.2 — is his best since 2009, when he rattled off a 5.75 average finish with two runner-up finishes and three top 10s overall, as well as the first time he’s ever started the season with four straight top 10s in his storied NASCARcareer. Entering Auto Club Speedway this weekend, the driver of the No. 24 is third in points and, most seasons, would already be pegged as a bonafide championship contender. 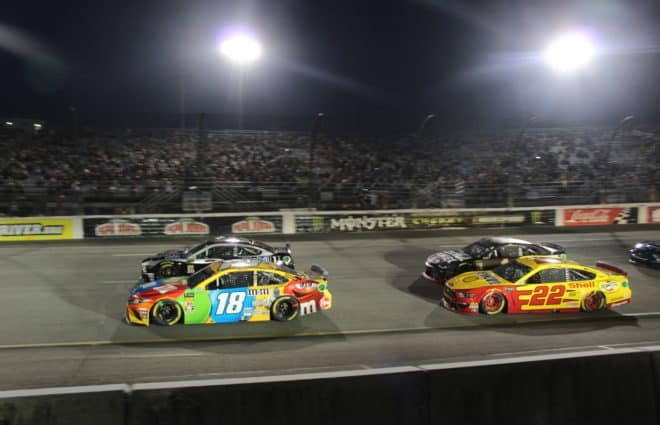 Last week, I touched on Dale Earnhardt, Jr.‘s hot start to the season, having finished in the top 2 each of the first three races of the season, up unitl Bristol last weekend, where he wound up with a 24th place finish. I mentioned that even if Earnhardt does something like — gee, I don’t know — finish 24th the rest of the regular season before the Chase, he’d still have a shot at the title because of his win in the Daytona 500. So long as he doesn’t become complacent and can carry his early form into the postseason. Gordon however, is different — at least, for the time being. 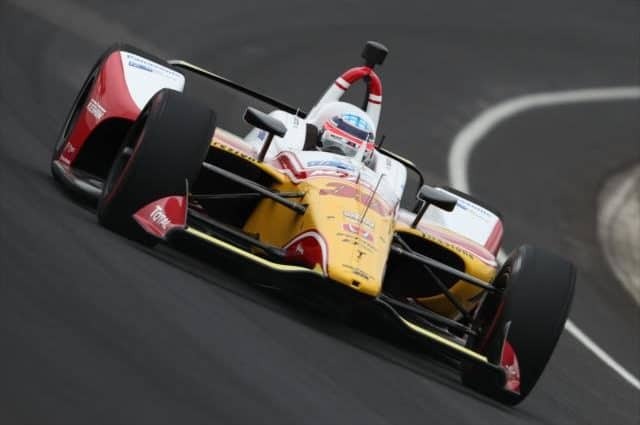 Four top-10 finishes in four races is encouraging, especially considering his winning ways in the past. Two of those finishes being within the top 5? Icing on the cake. But when it comes to his number in the win column, his early success comes with a major question mark. 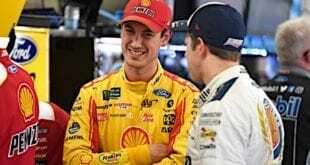 Make no mistake, he’s a proven winner, having climbed the list of overall NASCARwinners over the years to his current spot of third all-time, having won 88 races. However, that tally includes only seven since 2008, including two seasons without any wins at all. That may not fly in 2014. 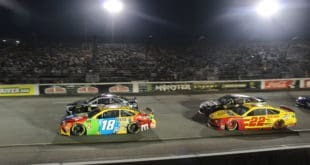 With the new Chase rules, a field of 16 drivers makes the postseason, with those winning the season’s first 26 races slotting into those 16 positions. Odds absolutely are that we won’t have 16 or more different drivers win over 26 races, meaning the remaining spots will be occupied by the highest in points without wins — a spot Gordon currently occupies, just behind 2014 winners Brad Keselowski and Earnhardt, Jr.
That’s why it’s tough to buy too much into Jeff Gordon’s strong start to 2014. 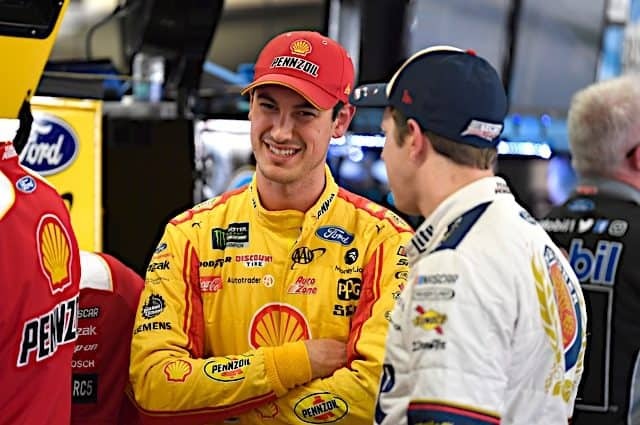 Until he’s in victory lane, a simple streak on the other side of the coin could knock him far enough below others in the standings that, once the Chase rolls around, he’s out of contention completely. He needs that victory, but since 2011, he’s lost one win in his season total each year. This current pattern indicates a zero-win season in 2014. Oops. There’s 22 races left before NASCAR finalizes its Chase berths, giving Gordon and Co. plenty of time to make one big leap into the Chase by scoring a victory. If his team continues at the level of consistency — with few, if any, mistakes — that it’s accomplished in 2014, falling into a victory probably isn’t far off. So despite rattling off four top-10 finishes to start the year for the first time in his long career, remember that Jeff Gordon isn’t a title contender — at least not yet. 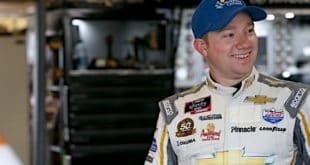 Arguably, no one’s a contender until they’ve scored a win to propel them into the Chase, and until Gordon visits victory lane or at least scores a berth in the Chase due to his points position after Richmond, his strong start means very little. With teammate Earnhardt, Jr. already locked into the Chase himself, with Jimmie Johnson close by, the knowns just might outweigh the unknowns for Gordon for one ofNASCAR’s greats in what could be the twilight of his career. Rutherford is the managing editor of Frontstretch, a position he gained in 2015 after serving on the editing staff for two years. At his day job, he's a journalist covering music and rock charts at Billboard. He lives in New York City, but his heart is in Ohio -- you know, like that Hawthorne Heights song. Previous Roush Fenway Racing: Resurgence or Regression?